Iglesia Ni Cristo, You are Officially Amazing! 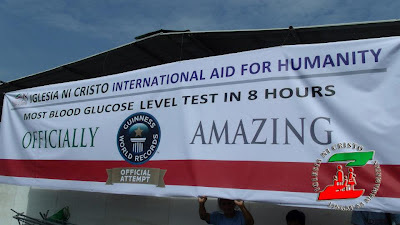 (Manila, Philippines) - The Iglesia Ni Cristo International Aid for Humanity, commonly referred to as Lingap sa Mamayan has broken three Guinness world records in an amazing event held last Saturday, July 7, 2012 in Parola, Tondo. 3. 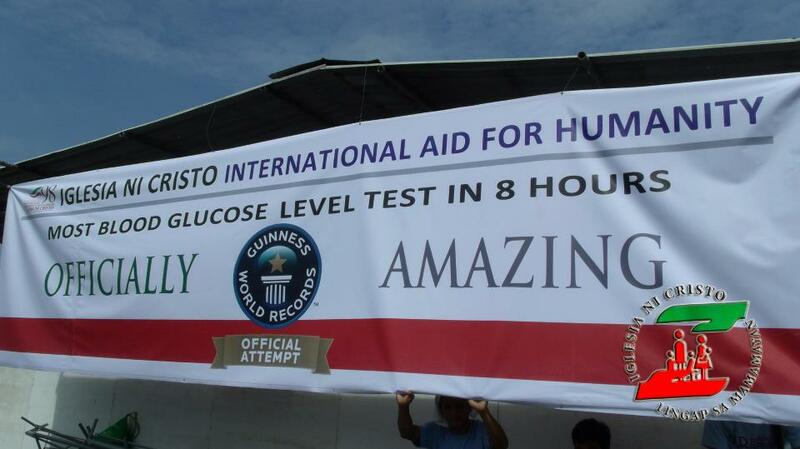 The most blood glucose level tests in 8 hours 5,217 beating NovoNordisk Education Foundation's (India) 3,573. A large tent has been setup for the beneficiaries of the Iglesia Ni Cristo's Lingap sa Mamamayan, to make them comfortable while waiting for their turn to avail of free Medical and Dental Checkup. Simultaneous check ups during the Lingap sa Mamamayan in Parola, Tondo. 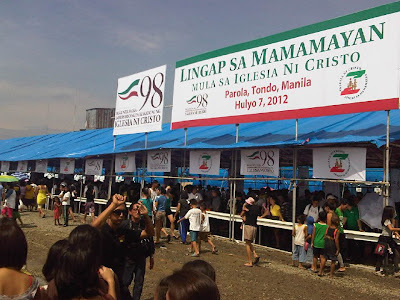 The activity is part of the 98th Anniversary of Iglesia Ni Cristo on July 27, 2012. 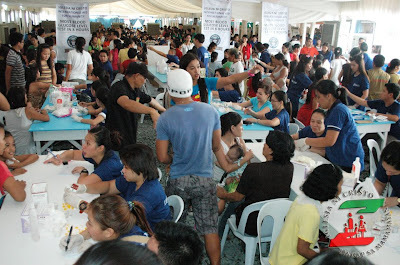 Lingap sa Mamamyan is a socio-civic activity of the Iglesia Ni Cristo which regularly conducts medical and social mission in various parts of the country that caters to both members and non-members of the Church. A team of doctors and nurses usually lead the activity. Aside from medical consultations and basic dental services, the beneficiaries were given plastic bags that contained rice, canned goods, and noodles. Starter dose of vitamins and medicines are also given to those availed of the medical consultations. This socio-civic activity was initiated by the late Executive Minister Bro. Eraño G. Manalo and being continued by the present Church Administration lead by Bro. Eduardo V. Manalo. 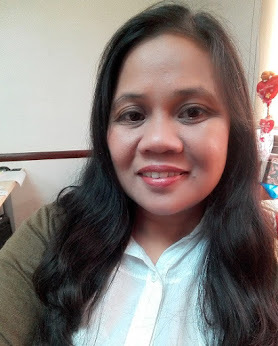 iba tlga ang iglesia ni cristo..
Isang biyaya ang mapabilang sa mga binigyan ng pagkakataon na mkatulong sa isang mahalagang proyekto ng IGLESIA NI CRISTO..it's truly amazing!! ...TO GOD BE THE GLORY..! !..SA AKING MGA KASAMAHANG VOLUNTEER SEE YOU PO SA MGA SUSUNOD NA PROYEKTO...! 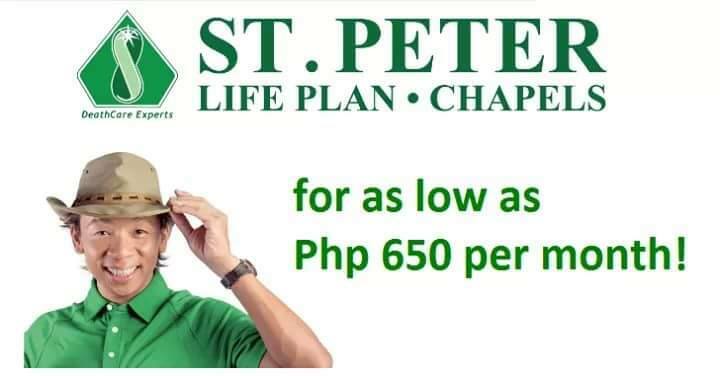 Nakakapangilabot! Sa Diyos ang kapurihan!